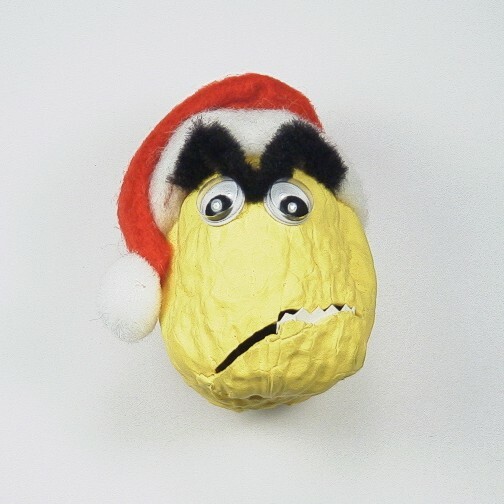 A mean, grouchy, grumpy or goofy looking walnut head. Great for holding notes on refrigerator, file cabinet, school locker, etc. Each Nut Head is unique - expressions will vary! Facial expressions are unique due to the nature of the product. Photo represents samples. Order by choice of color only.